← Finish It Up Friday ~ 16 patch! 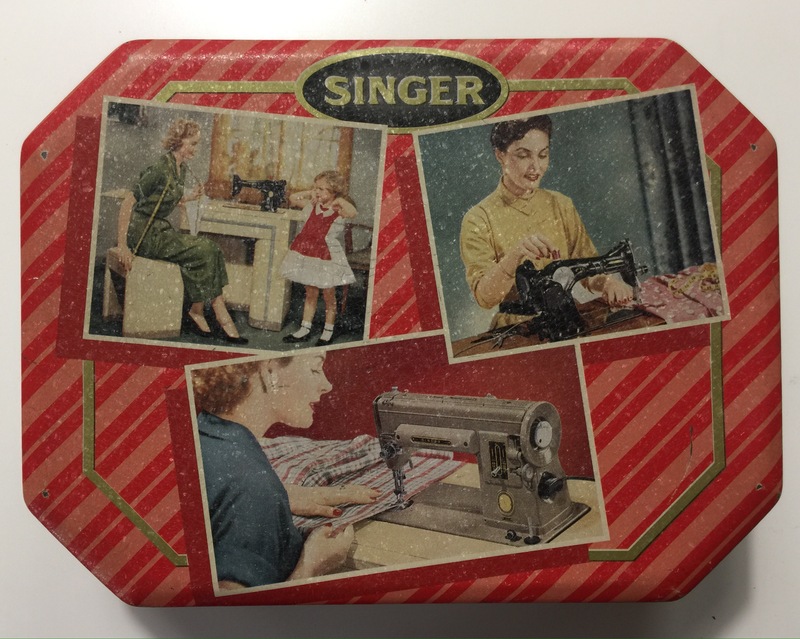 I fell in love with vintage Singer sewing machines long ago. Once you get interested in something, you begin to collect all things pertaining to it! 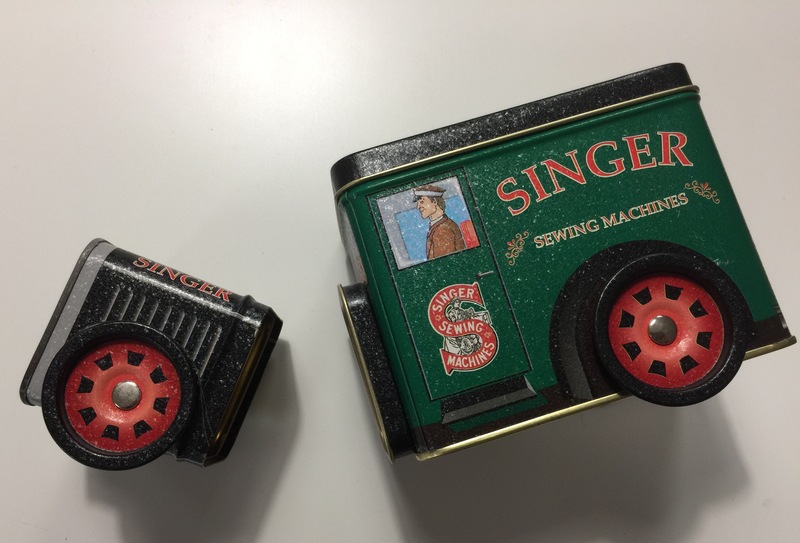 Here is a subset of my Singer Sewing collection, my tins. I don’t remember where I got most (any?) of these or if any of them are available anywhere. But they are fun and I thought I would share them with you today. 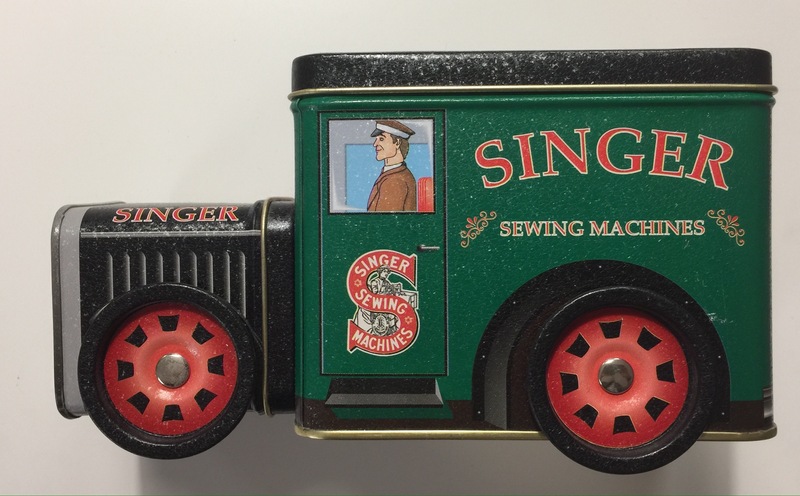 The wheels really turn on this one and the top opens for storage. 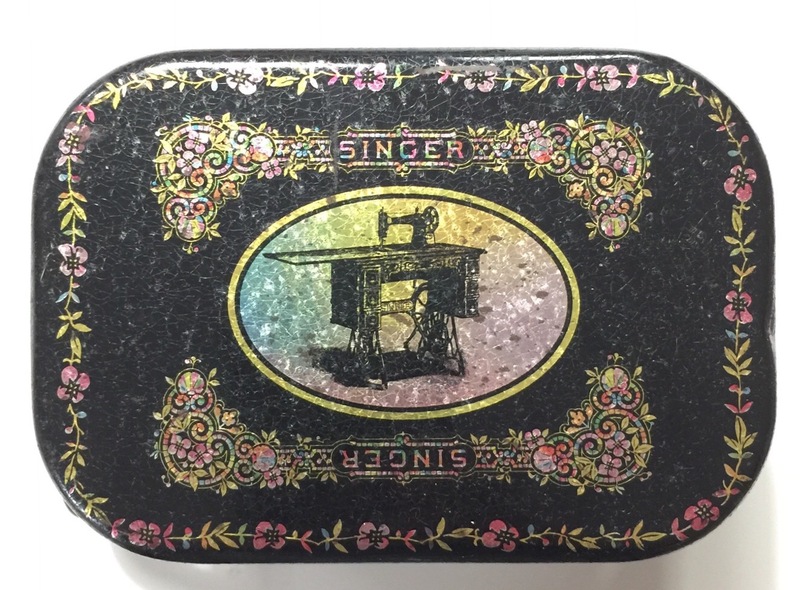 There is also a little secret compartment in the front! 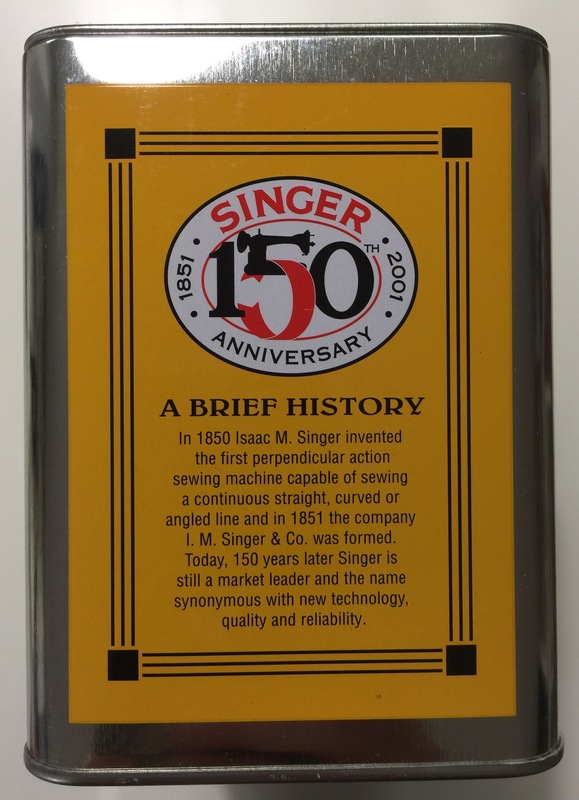 This repro oil tin was made for Singer’s 150th anniversary. 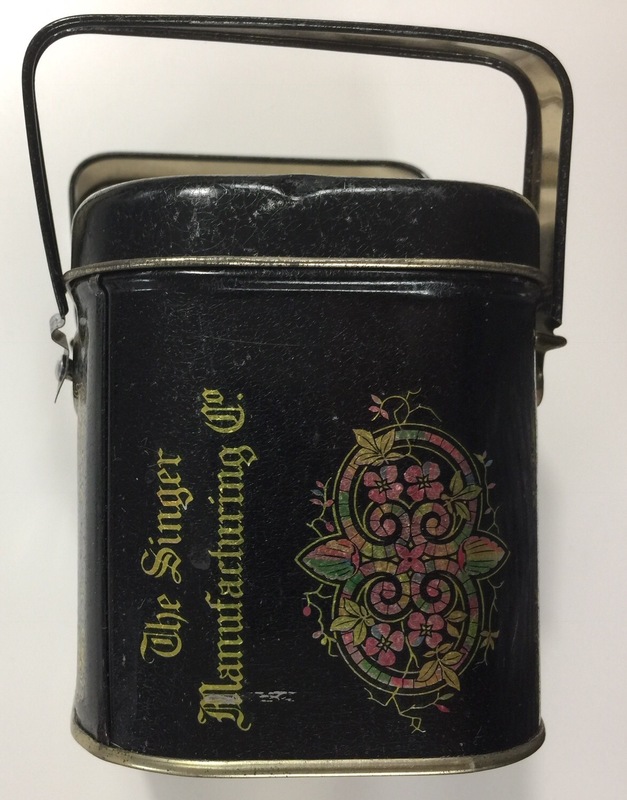 It looks like an oil can from the top, but the whole thing lifts off for storage. 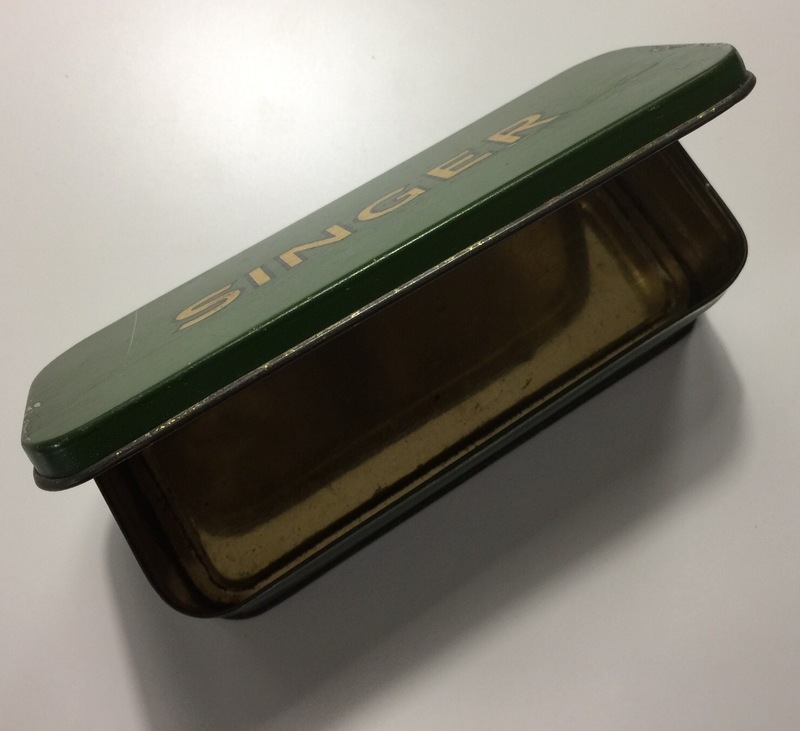 I have Singer 101, so I had to have this tin with one on the lid! Here are pictures of the side graphics. 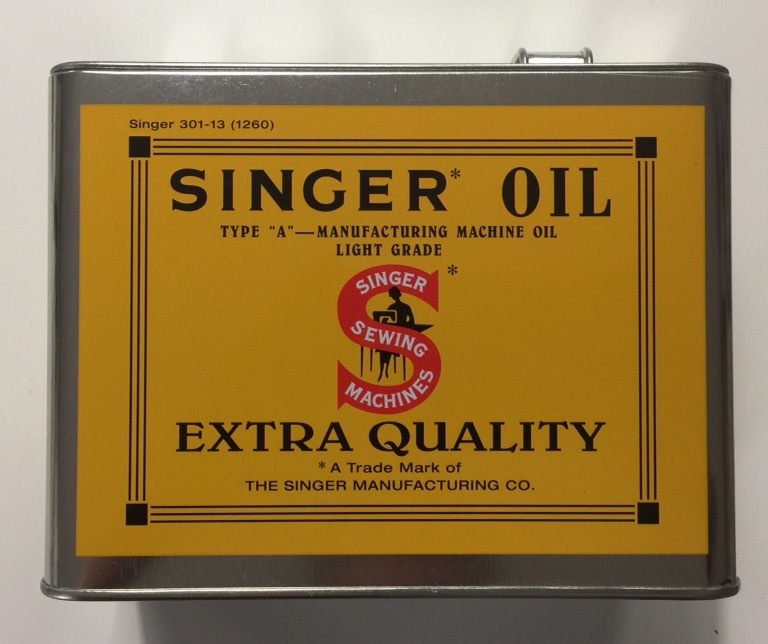 I have a couple tan 301s and black 15s just like those pictured on the lid of this tin! The next one most likely held attachments originally. It was empty when I bought it. The last two seem to be pretty common. 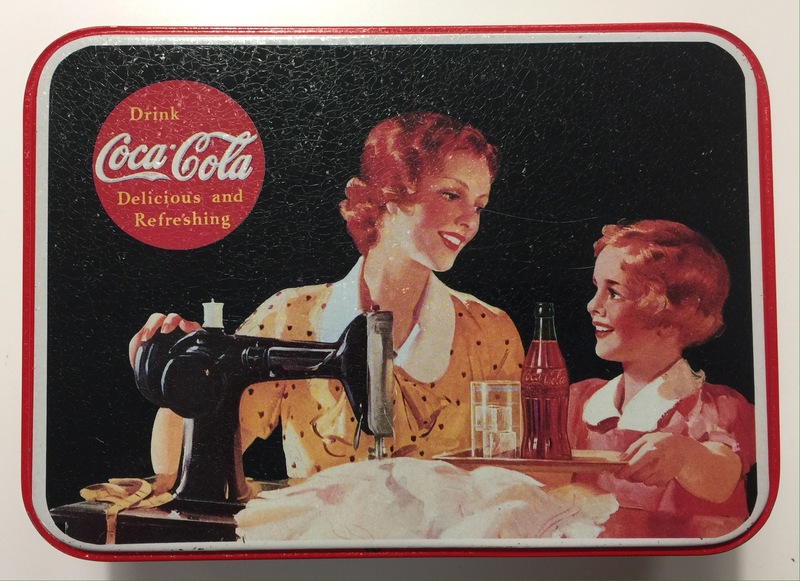 I purchased mine from Joann’s or some place like that a long time ago. Mine are not pristine because I have used them a lot over the years! 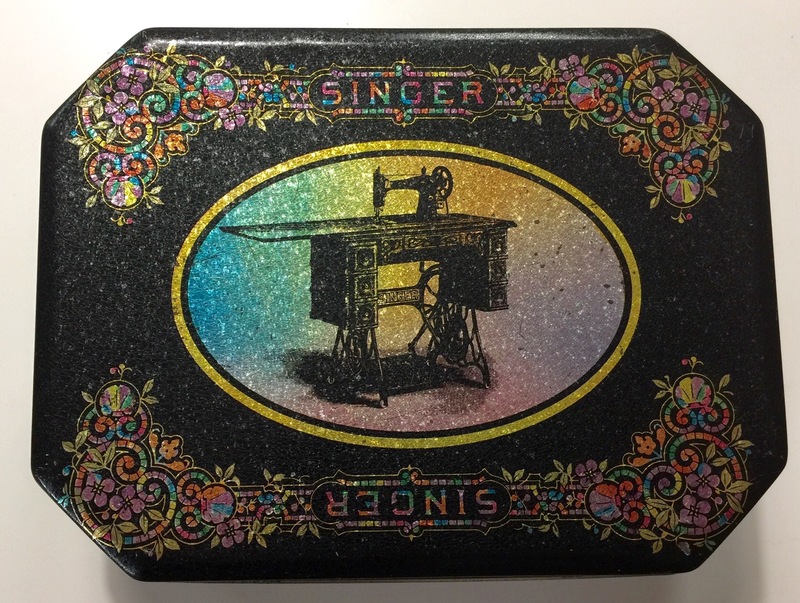 This entry was posted in Sewing Colectibles, Uncategorized. Bookmark the permalink. What a fun collection! 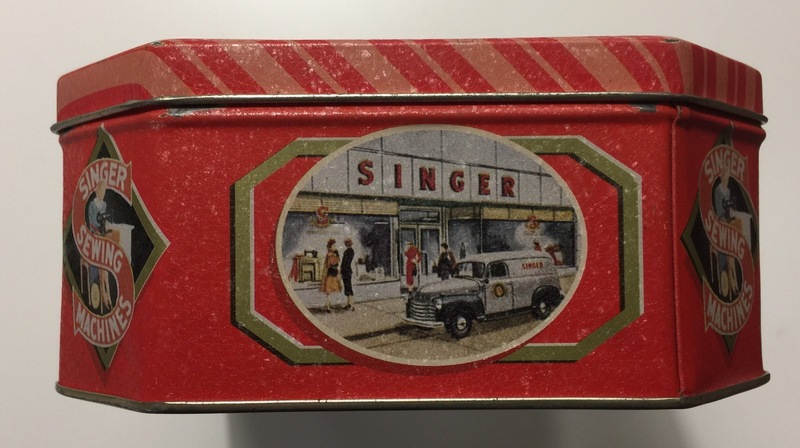 I think I have a couple of the same ones, but some I’ve never seen before – like that truck! Awesome! These are great, Katy! 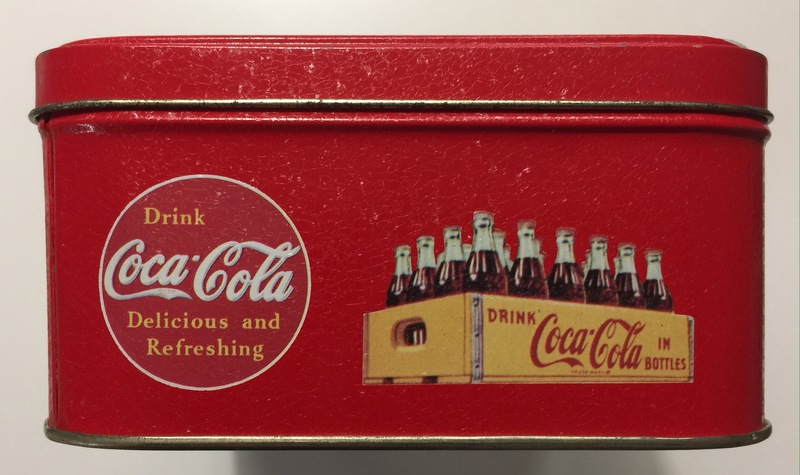 I, too, have not seen these before…I will have to start looking for them!! Thanks for sharing your lovely collection. 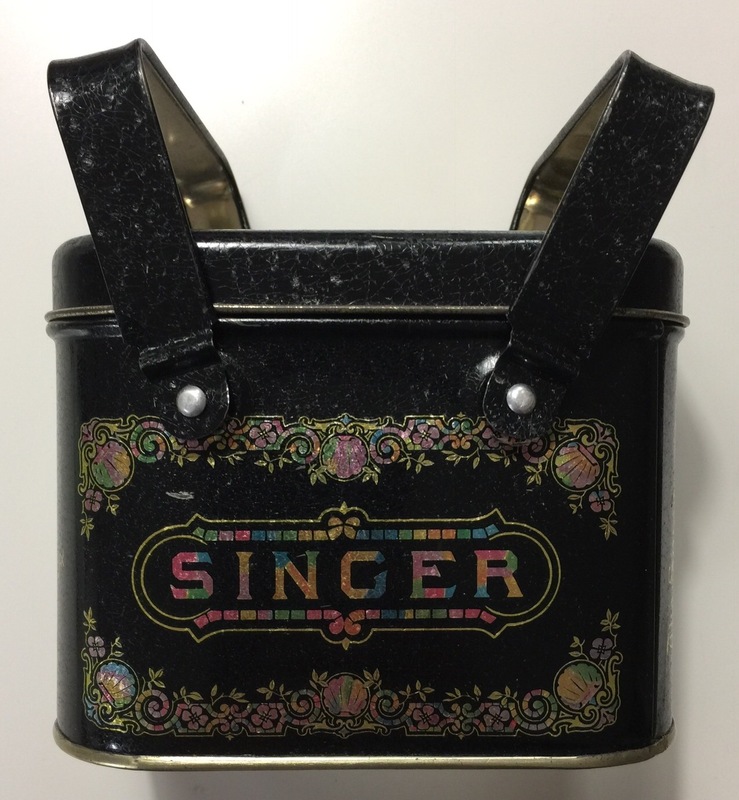 Hubby and I found old Singer oil cans at an antique shop a few days ago, along with a singer machine with a treadle base. (I left that at the shop, but about killed me to do so!) I totally relate to the ‘once you start collecting’ bug! 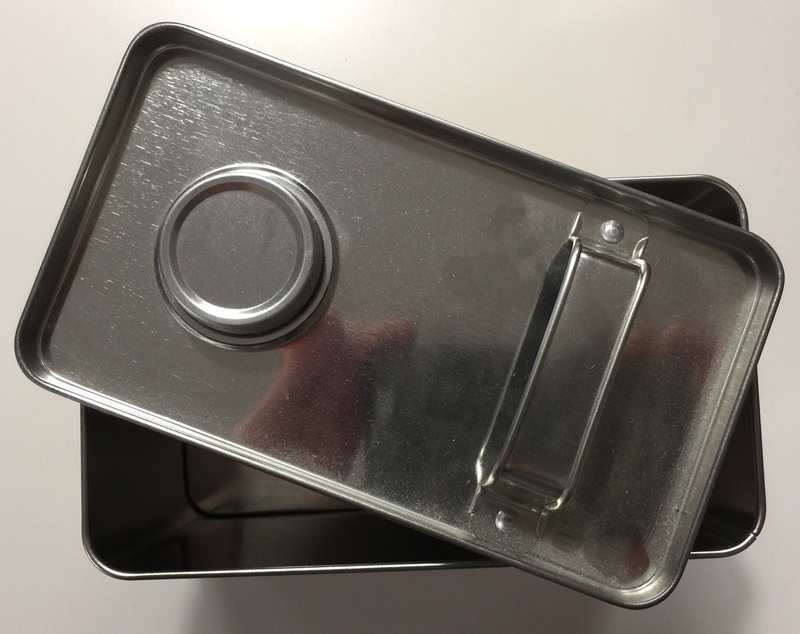 You have some really great tins there! 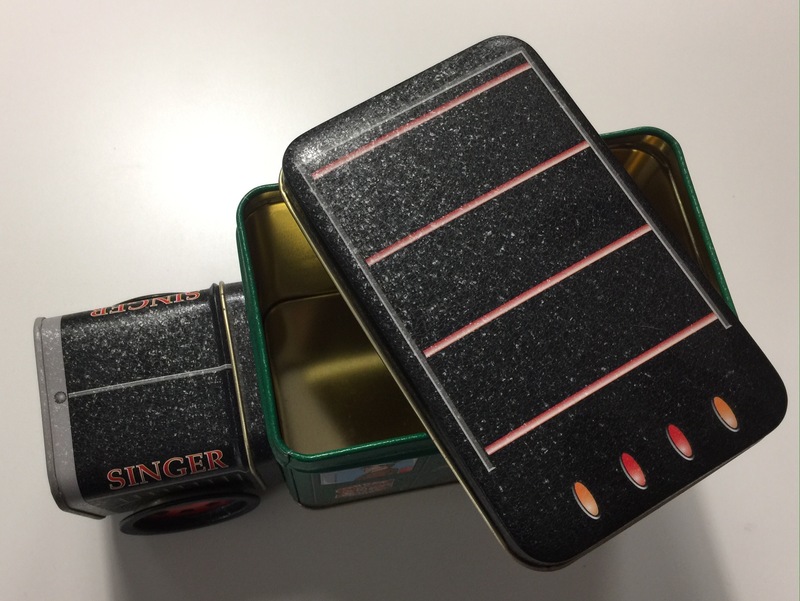 What a great collection of tins you have there Katy! !